The BSC sponsors awards to recognize the contributions of our members to biophysics. Outstanding Canadian researchers who have made exceptional contributions to biophysics are recognized as Fellows of the Biophysical Society of Canada and are selected to give the National Lecture at the BSC annual meeting. New in 2019, outstanding Canadian early career investigators are recognized with the Young Investigator Award, and are also selected for a plenary lecture at the BSC meeting. Contributions to the BSC are recognized by the Michele Auger award for exceptional service. The Society supports trainees with travel awards to both the US Biophysical Society meeting and the annual meeting of the BSC. The BSC sponsors awards for the best poster/oral presentations at the BSC annual meeting. Submission Deadlines: June 30th of each calendar year for Fellows and Young Investigators and January 15th of each calendar year for the Service Award. The Biophysical Society of Canada solicits nominations for Fellows of the Biophysical Society of Canada, for the Young Investigator Award, and for the Michèle Auger Award for Exceptional Service to the Biophysical Society of Canada. 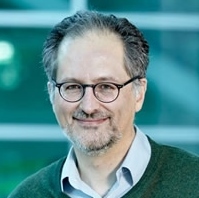 All members of the Biophysical Society of Canada who are in good standing are welcome to submit a nomination of deserving candidates for either award by e-mailing a nomination package to Giuseppe Melacini. Complete nomination packages received by June 30th (Fellows & Young Investigator Award) & January 15th (Service Award) will be reviewed and ranked through votes by the executives of the Biophysical Society of Canada. Nominations in all areas of biophysics are welcome. Nominees for Fellows and the Young Investigator award must be Canadian or working in Canada. To be eligible for the Young Investigator award, the nominee must be within ten years of his/her first independent research position (excluding leaves of absence) at the time of the nomination. Award winners are recognized at the Annual meeting of the Biophysical Society of Canada. We look forward to receiving your nominations.